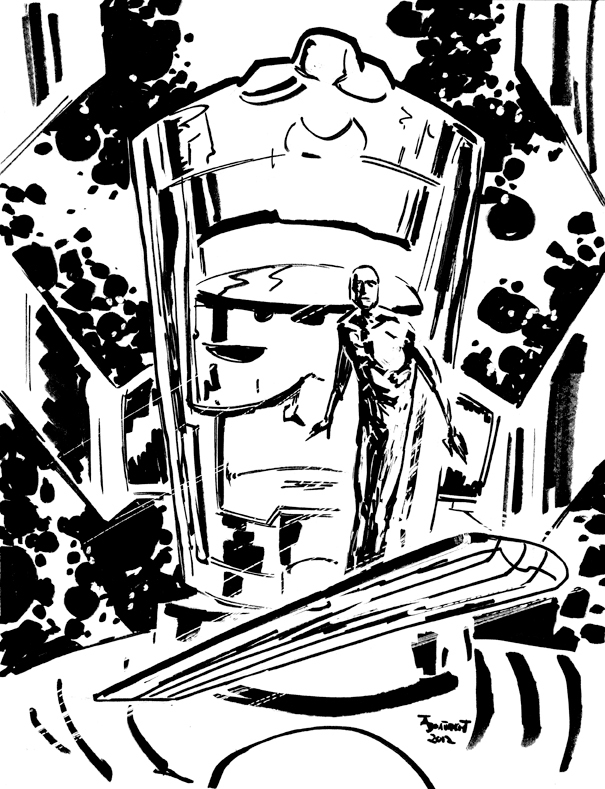 Posted August 27, 2012 in Galactus, Silver Surfer, Thomas Boatwright. Silver Surfer and Galactus in marker by Thomas Boatwright. Thomas is available for commision via Wednesday’s Heroes and be sure to visit his blog for more artwork. 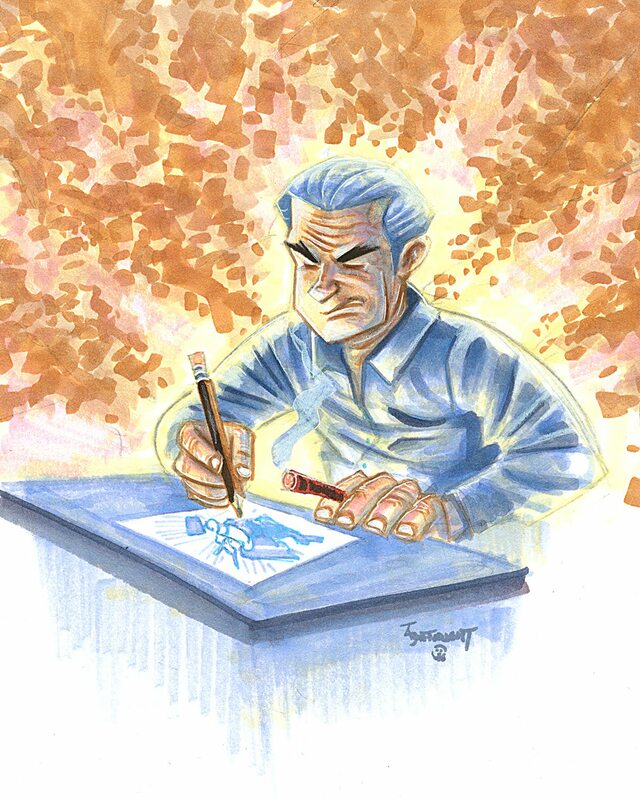 Posted February 1, 2011 in Jack Kirby, Thomas Boatwright. 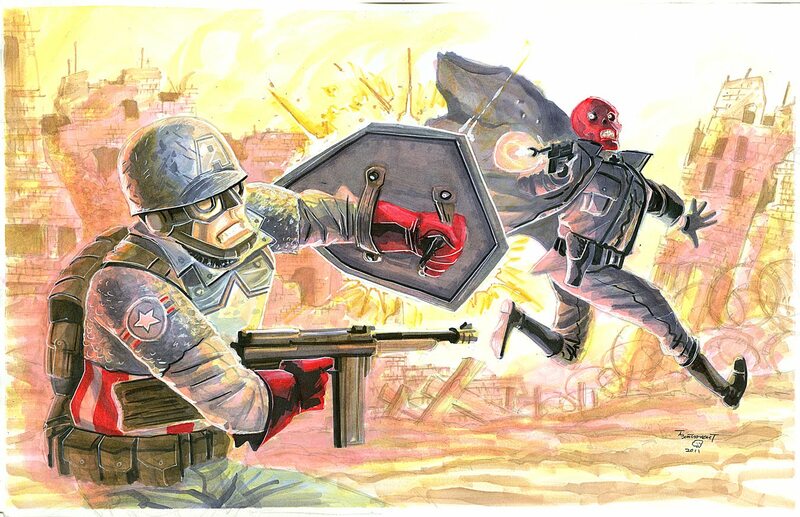 Kirby-Vision in action in a recent marker commision courtesy of Thomas Boatwright. Thomas is the co-creator of Cemetery Blues and Zeke Deadwood, Zombie Lawman. When not illustrating Thomas plays banjo and builds cigar box guitars. Be sure to check out Thomas’ blog for more.